I prefer to explain over the phone, but here is a recorded summary: Drogo talks about making books for other authors. Get extremely lucky to hire an Agent, and the agent talks to a Major Publisher (they will not talk to authors directly) then their company might pay you an advance on potential book sales, and the author gets no say on book cover, illustrator, or any details; but you get some royalties if they keep it in print. The second main way is Vanity Press, where you pay smaller publishing companies to tailor make a book for you for hundreds or thousands of dollars that you the author pay to them, and there are no sales royalties because it is a one time deal. The third way is to either self-publish with a company or hire someone (like Drogo Empedocles) with experience and knowledge of how to work the formats, programs, and monitor sales. Traditionally it was very difficult to get published as the first and second were the only ways, and when you kept a book on the market the publisher had total control over printing. IMPORTANT: Make sure you understand these options and the agreement for slitting royalties (case by case) BEFORE sending any files. When you send the files and say you want Drogo to publish your book, consider that your request, and if he agrees to do it, that is the agreement that is as important as any formal business contract, verbal, written, or otherwise. To be clear about your desire to hire us, send an email stating that you understand the agreement and 50% split of royalties of books sold online (standard SCOD deal) and want SCOD to publish asap. Although we have more options for controlling the look of our books (using the new third way), SCOD is still a publisher for other authors that want us to publish their books, so we need to be the final authority on the product (much as traditional publishers). We still need to put some limits on how many changes can be made; in order to not get stuck in perpetual time-sucking loops with authors. Anyone that wants SCOD to publish their book should have a few suggestions or questions in the beginning; but by the time they decide ‘YES I WANT YOU TO PUBLISH MY BOOK’ they should realize that we have certain formats and certain parameters that can work in order to serve multiple authors, make it affordable, and make some net profit. SCOD publishing is NOT a communal, anarchist, or democratic process; SCOD publishing is run as a representative cooperative with the publisher as the appointed leader. SCOD reserves the right to format the text, correct spelling & grammar (if an issue), and add publishing information to the front and back of the book, including a list advertising other SCOD books (traditionally at the back). SCOD can remove from publication any book, at any time, for any reason; at which point it will be out-of-print with us. The benefits of publishing with SCOD include: being able to talk about the issues with the publisher directly, true personal concern for authors and artists, and knowing that the funds go to support SCOD work world-wide with other partners. Art – We do NOT negotiate with artists, authors, or anyone about any designs or illustrations for the book or cover, once we have the initial agreement to publish. We do allow you to submit cover art or illustration contributions, which will then be considered or edited to fit the book format or style. These minor changes to the author’s original ideas, should be of little concern to an author that respects the process we have for making books. This method requires authors to set aside egotism and perfectionism, in favor of having their book in print with us as we see fit. Drogo charges low rates for work, because it is easier than teaching. To teach someone our process could take many more hours, and the pay would not compensate less potential royalties, which are typically few and far between anyway in this business. Yes if you do it all yourself or pay more money to hire another company, you may get more options; with SCOD you get your book made in SCOD style, with some consideration for suggestions. Publishing with SCOD is not the same as an ‘equal partnership’ in this case, as the client relinquishes their trust to us, for our services, to make a book that we can have on the market asap. By hiring Drogo, you want him to make books the best way that we know how for us to share the royalties. We understand authors often get possessive of their work and would not like any changes made that they do not approve of, and for authors that want that level of control we invite them to keep looking for another publisher, or do it themselves; we expect they will find the same obstacles that we encountered which prompted us to handle all these issues this way. Some authors do not want the pains of learning and doing what we do, so we can do it for you! If you think you want Drogo (SCOD) to publish your book, first see what his existing books look like. If you like how they are done, and trust that we will make your book based on those, then you will know if you want us to publish for you. Once we tell you how much work it will take to publish, you can say you want to make more changes, or say go ahead. PAYMENT must be up-front before we begin work, because we have done hours of work for clients and then they changed their minds, and we did not get paid at all. Ask Drogo what he thinks, and he will publish as soon as he thinks it is ready for a first printing. If there are major problems, they will be fixed asap, and if there are only minor mistakes, we can get around to them eventually. Major and Minor corrections are done to the same edition, changing it for good; while other style or format or content changes may be published additionally as other versions or editions. As a publisher SCOD needs to be able to keep books for sale as long as possible, with as many books as possible, that is why we insist on final control of how many changes and editions are made to the book, which we have copyright to print and sell once it is published. Once a book is made, if an author becomes disagreeable about it, and breaches our verbal contract by communicating things to the contrary; the only course of action is to pay debts, remove their books from online sales, and be done with them; this is sad and costly, so that is why all sane and polite authors should understand the control that I need to operate as a publisher does not put them in a position to remove or change their book. Requests for changes can be negotiated, and the author should understand that the reason for publishing with me is not to make things difficult, but rather to publish without much hassle, stream-lined as easy as possible, and sustain availability of the book to share it with others. As long as my authors know that I value their work, but need to be patient with the limits regardless of expectations or surprises, then that trust is all that matters and I will make and keep their book available for all, as long as possible. SUMMARY: Ask yourself a quick question to know if you want SCOD to publish your book. Can you give up control enough to be content or happy to have Drogo publish your book in his own way? Sacrifice enough ego, and the book can be made. 1. If you need things to look ‘a certain way’ and will be unhappy with any changes in font or format, and want to change things on a whim, DO NOT hire Drogo. 2. If you want your book to be published affordably and quickly, the way that Drogo can do it, and you will be satisfied enough to have it made into a book because you like SCOD, publish with us. Make sure you are familiar with SCOD work, before you decide whether or not to publish with us. Once our book gets done, Drogo can make some improvements or corrections, but it is entirely Drogo’s product and time-table (unless there are additional payments for changes). I have a copy of the book ‘Wolf’ by Ranger Tess. First i want to talk about the author and her family homestead in Missouri. Ranger Tess is a small but strong young woman, who lives a life engaged with spirits of Nature. She does historical fantasy roleplay, which often evokes cultural memories of a time when humans lived closer to animals, plants, water, and land. She is a shepherd of many animals of all shapes and sizes; horses, deer, pigs, dogs, bunnies, and goddess knows what…. Her family all do farm and art type things also, and although humble they are quite generous, creative, devoted, and talented. Second here is a short book report on Wolf. Wolf is the name of the main character, a boy raised by wolves (like Mowgli from Jungle Book by Kipling). Other characters include: Grant, Jess, Jackson, Scout, Tracker, Brenda, Zan, Scott, Vallon, and Taren. My edition is from 2010, with a really nice cover with hand and paw print. It is a portable 290 page book. The densely clean format and plain wording reads smoothly. The action is awesome, the messages are good, and it even has a good ending!!! I highly recommend this book to anyone that loves fantasy adventures. 1. Local author sells a set of books to local core fans. 2. The core fans sell and give books to others. 3. The book sales expand exponentially by grassroots word of mouth. 4. Core fan base help local author to get their book for sale at local shops. 5. Local core fans act as dispensaries that make sales profits, by selling copies for more than they buy them from the author. 6. All parties benefit, because author includes the core fan base in the book!! 7. 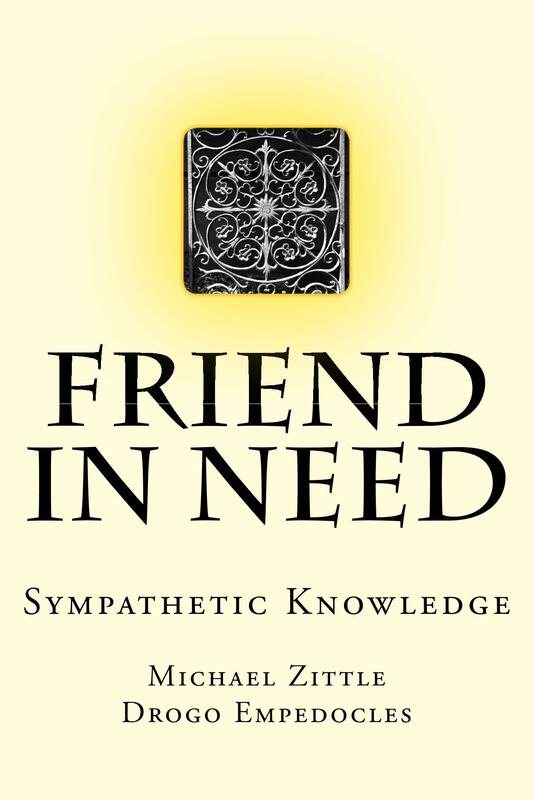 Author helps others with their businesses, and all use the book as a portfolio community collection. Barbara Ninde Byfield was born in Abilene, Texas. She grew up in the West and Midwest. As a young adult she attended the University of Wyoming and the Art Students League of New York. For decades later Mrs. Byfield lived in Greenwich Village, NYC with her daughters Barbery and Tamsen in an old farmhouse with 7 fireplaces and Boston ivy. 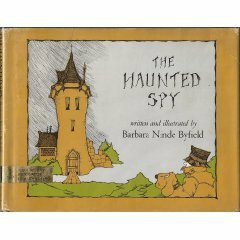 Barbara Byfield was an author and illustrator for many unique books from 1962-1978. Her books have a personal style that mix nostalgia, mystery, and creativity. She built a fountain in her garden on Christopher Street, was a devotee to the occult world, and was a creative chef.